This weekend Dustin and I headed up to Lawrence to visit with his parents and siblings. It's always fun getting back and catching up! Today, I dragged my mother-in-law and sister-in-law with me to the new IKEA in Kansas City. I warned them about the craziness ahead of time and luckily, since I had recently gone for the first time, I was able to get us through decently quick (which sadly isn't very quick at all). We all found fun things and filled up the car to the max. 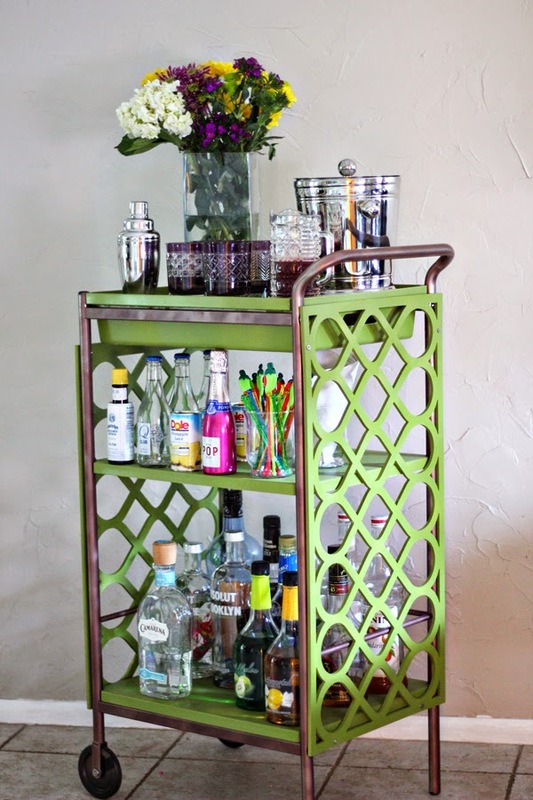 One of the items I wanted to go for was the BYGEL Utility Cart because I thought it would be fun to redo for a holiday party I'm going to host. I figured for $30, I could add some character to it and make it look festive. Now, I'm trying to figure out what I want to do with it. I have seen lots of pins on Pinterest with the silver parts spray painted to gold and I love that look. I wanted to see what other ideas I could find to see if something else caught my eye. 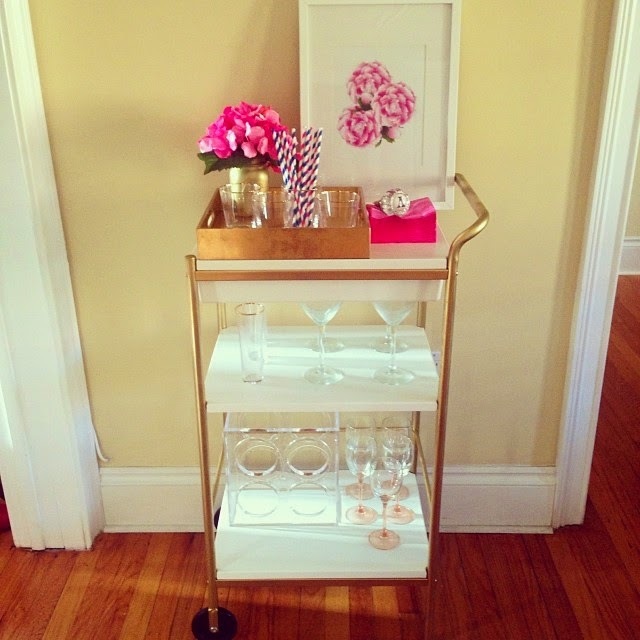 Here is the classic, just spray paint the silver gold - I love the simplicity of this because then you can add the character with items on the cart. 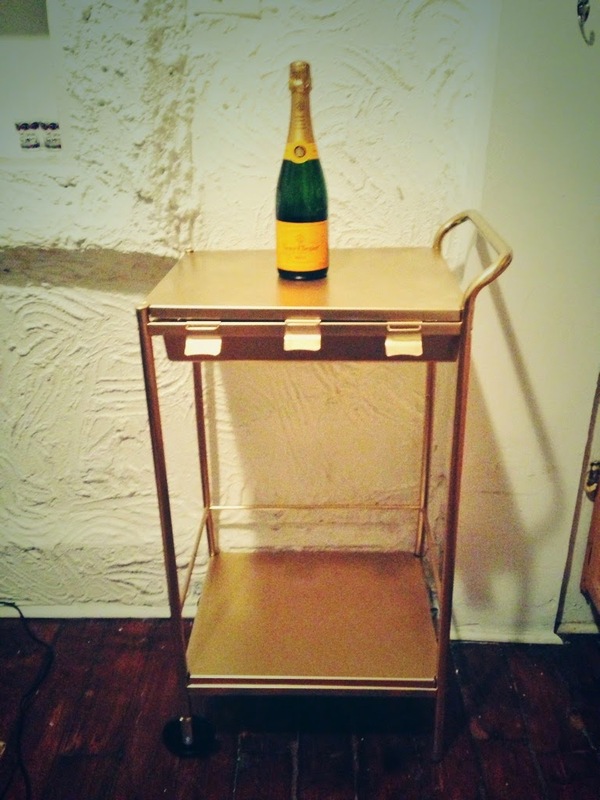 They did all gold on their makeover, almost too urban for my house. 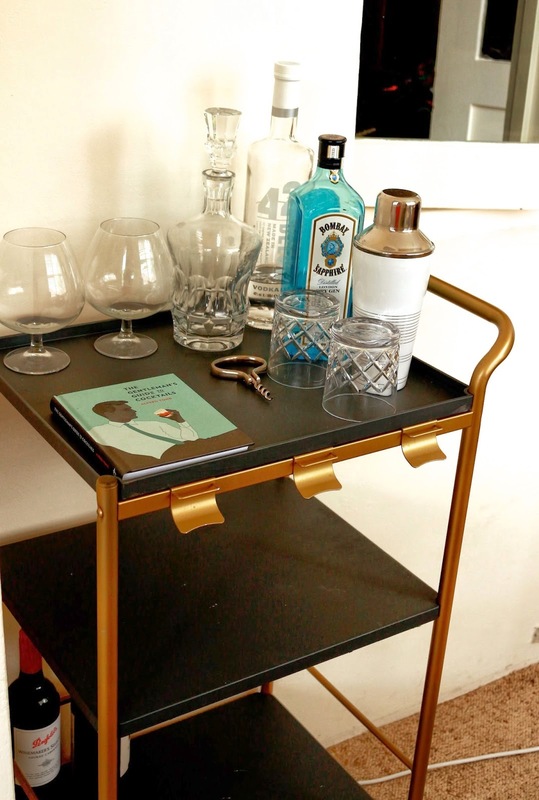 This is a chic look with the black and gold. For a quirky touch, they added shelving paper to the shelves - could be fun if you find great shelving paper. They got fancy with their makeover and added overlays on the sides. The pop of color is fun, even without the overlays. 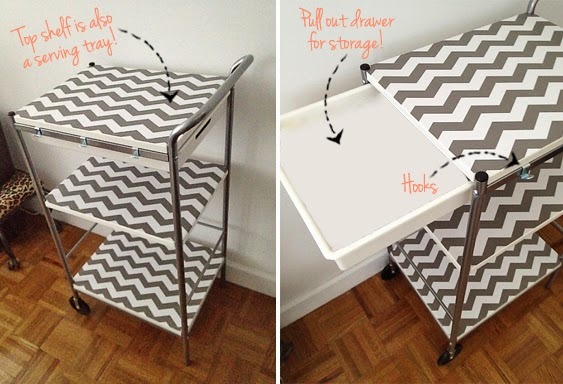 There are lots of fun ideas you can do with the simple cart, I just need to make my decision! I am hoping to squeeze in some time this week to do the makeover before I head off to meet my adorable new cousin, baby Beau, in Florida (can't wait to share pictures with you all!). If I'm not able to find time, I will conquer it the next week! Do any of you have any fun ideas or color combos I should try! ?